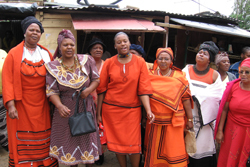 Worshipers sing at a service at the Alexandria Township United Methodist Church in Johannesburg, South Africa. NASHVILLE, Tenn.(UMNS) - Young United Methodists from around the world will have an opportunity to attend the first international convocation sponsored by the division of the church created to make them "world-changing disciples of Jesus Christ." The United Methodist Division on Ministries with Young People will host the Global Young People's Convocation and Legislative Assembly Dec. 28-Jan. 1, in Johannesburg, South Africa. "Our ultimate goal is 'to empower young people as world-changing disciples of Jesus Christ' as stated in the 2004 Book of Discipline," said the Rev. 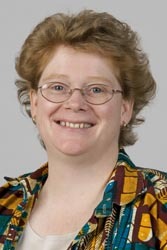 Micki McCorkle, interim associate general secretary for the division, which is part of the United Methodist Board of Discipleship. "As young people come together in Johannesburg and share with each other what it is like to be a young person in their contexts, we hope that all of them will begin to see the beauty of the global mosaic that God has created," she said. The international convocation will involve United Methodist youth, young adults, and adult workers with young people. Participants will engage in worship, Bible study, leadership development training and cultural exchange. Guest speakers for the event include Bishop Rosemarie Wenner, the first woman elected bishop in a United Methodist central conference (regional units in Africa, Europe, and Asia). Her episcopal area is Germany, which covers three annual conferences in the north, central and east sections and has 65,000 members. The Rev. Liberato "Levi" Bautista, assistant general secretary for United Nations and International Affairs of the United Methodist Board of Church and Society. Bishop Eben Kanukayi Nhiwatiwa, Zimbabwe Annual Conferences. Sarah Crawford-Browne, an African clinical social worker with a vocation to support community healing after violence and social justice. Beauty Rosebery Maenzanise, dean of the Faculty of Theology at United Methodist-related Africa University in Zimbabwe. The Africa University Choir will perform at the Global Young People's Convocation and Legislative in Johannesburg, South Africa. 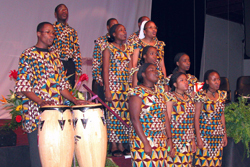 The Africa University Choir will serve as event choir for the convocation and legislative assembly. "This will be an event to remember and a great time for young people and adult workers from around the world to connect, learn and share with each other," said the Rev. 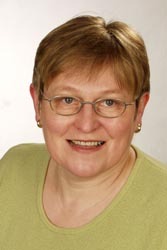 Karen Greenwaldt, top executive for the Board of Discipleship. "We are extremely excited to see the response and anticipation from all participants and leadership involved in this one-of-a-kind event," said McCorkle. "We'd like to remind all our United Methodist youth, young adults and adult workers with young people to register as soon as possible. Travel arrangements and preparations need to be completed soon," said Kenia Guimaraes, director of Central Conference Relations in the division. "We hope and pray that young people will have opportunities to experience other cultures, share their faith journeys with each other, and find ways to network and share ministry ideas and resources among themselves," McCorkle said. Holding the first convocation in Africa reflects the division's commitment to young people around the globe, she said. "South Africa is also a country for which many of our central conference United Methodists can obtain visas," she added. "Young people will have opportunities to make friends from other parts of the world, hear the faith stories and journeys of other young people, share with others about their cultures, and learn and experience the culture of South Africa," McCorkle said. "Also, young people will have the opportunity to dialogue with each other about the global issues, concerns and hope they experience and see." The convocation will include opportunities for jurisdiction and central conference delegations and individuals to propose legislation in a forum known as the United Methodist Young People's Legislative Assembly. Jurisdictions and Central Conferences will elect delegates who will be voting members of the legislative assembly. The assembly will vote on legislation to send to the 2008 General Conference of the United Methodist Church. The legislative assembly will have five youth, five young adult and two adult workers with young people from each of the five U.S. jurisdictions and the seven central conferences. Sixty people from the United States and 84 people from the central conferences will attend the legislative assembly as delegates. "Even those who are not delegates will get to participate in the conversations and discussions around the legislation which is brought forth," McCorkle added. 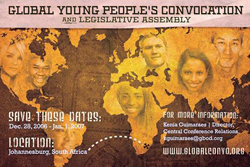 Registration, event and travel information can be obtained from the official Web site www.globalconvo.org or by sending an e-mail to globalconvo@gbod.org. For more information, call Miriam Castro directly at (615) 340-7182. Jeanette Pinkston, director of media relations at the United Methodist Board of Discipleship, contributed to this report.